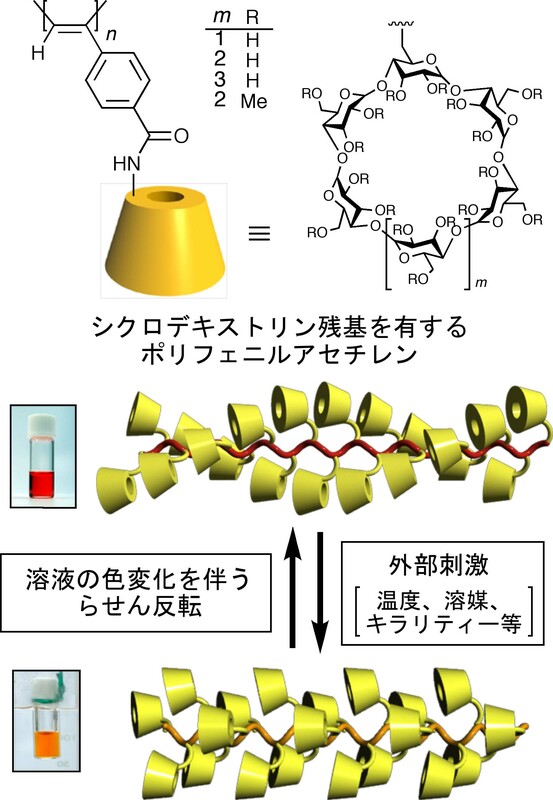 Dynamic helical polymers can cooperatively change their conformation, such as helical pitch and helical sense, in response to various chiral and achiral external stimuli. In this study, we aim to develop functional materials based on dynamic helical polymers, which can electrically or spectroscopically detect various external stimuli with high sensitivity. 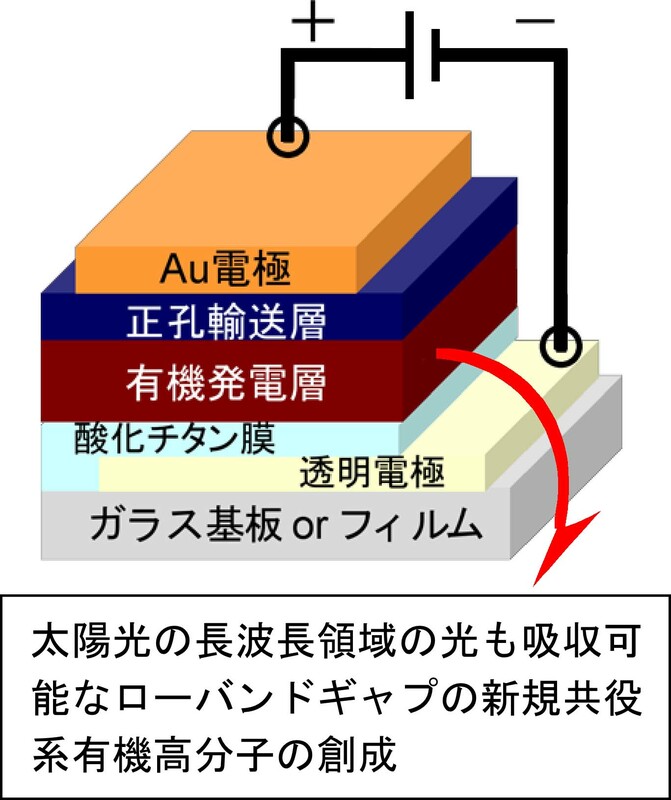 The key factor for achieving higher power-conversion efficiency (PCE) in organic thin film solar cells (OSCs) is to develop novel photovoltaic materials used in active layers as electron donors. The conjugated polymers used in OSCs as electron donor materials at present, such as poly(3-hexylthiophene) (P3HT), absorb only a small part of the sunlight. This mismatch between absorption spectra of the conjugated polymers and the solar irradiance spectrum limits the utility of the sunlight, resulting in low PCE of OSCs. In order to attain the realization of practical application of OSCs, we have been developing novel conjugated polymers with small-bandgap, which can effectively harvest photons from the sunlight. This work is performed in collaboration with Prof. K. Takahashi's group in the same department.